I want to sell my house in Beaumont, California! Have you been thinking about selling your home in Beaumont, CA? Well, look no further! 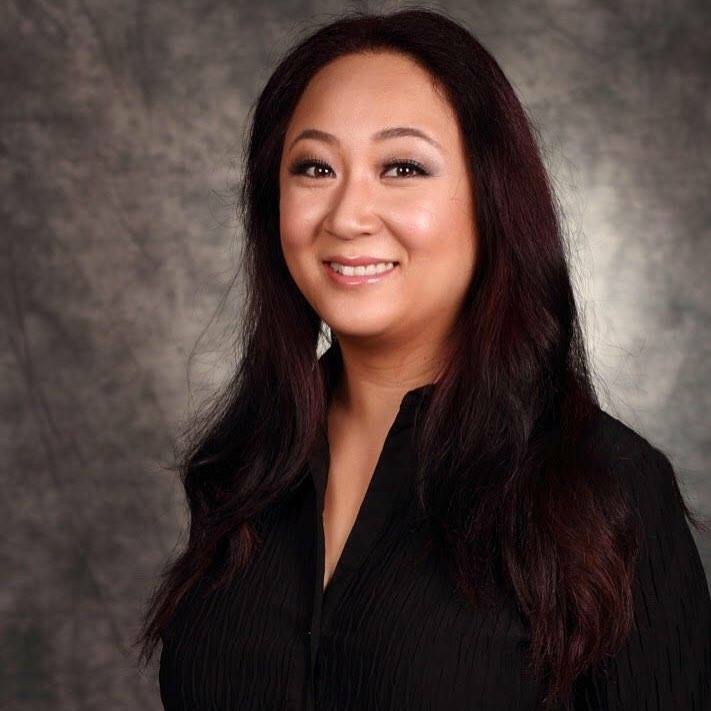 Real Estate Masters Group in Beaumont sells locally in Beaumont, CA. We help you sell your home quickly, easily, and for top market prices! Thank you to all who have served this country! Happy Veterans Day! This year has been full of changes for me and my coworkers. One of the biggest changes was really embracing the video trend for real estate. There are so many venues for videos to be consumed, but I am really concentrating on YouTube and Periscope. The videos that I have been putting on our office YouTube channel have been more formal and put-together. We try to provide videos to the public that are educational and informative. The videos aren't heavily scripted, but they are edited. There are pros and cons to this, of course. The videos look nice and polished, but it doesn't allow for much of our personalities to be displayed. Periscope is just the opposite. It is a live-streaming service that allows people to broadcast from wherever they are at the moment. Periscope could let me broadcast open houses, home previews, community events, behind the scenes of our video shoots, etc. Unfortunately the broadcasts only stay for 24 hours on the Periscope app itself. However, when used in tandem with Katch.me the videos can be archived elsewhere and rewatched at your leisure. You can watch my Periscope videos at katch.me/tinajan ! I've seen some YouTubers post their Periscope videos onto YouTube for more exposure, but the videos from Periscope aren't the prettiest things to rewatch. They can be jumpy and pixelated from bad internet reception. And although part of the fun of Periscope is that viewers can comment and interact with the broadcaster, this leaves replay viewers stuck watching all the greetings and random banter. What do you think? 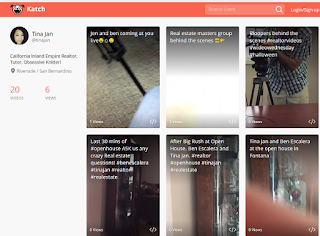 Should our Periscope videos be added to YouTube? I would love to hear your input on Periscope, YouTube, realtor videos, and topics that you are interested in! Periscope is my new Favorite App! What is Periscope? Periscope is an app for iOs and Android that lets you "go live" from your mobile device anytime! With this app, you can broadcast, live. People broadcast, or "scope," about what they see, like events, music. Or they broadcast themselves and speak with viewers who can leave comments and "hearts." The hearts appear when viewers tap anywhere on the screen of their device. It shows the broadcaster that the viewers are liking what they are seeing. Once the broadcast is over, the video can still be watched on "Replay" for 24 hours. Viewers can share the broadcaster's video with their own followers, or share it on Twitter or Facebook. I've only just started to use Periscope, but I've already done several broadcasts during an open house that I did over the weekend. It is very easy to use, but there are a few things that I had to figure out. 1. Make sure your phone does not have the portrait orientation locked, if you want to broadcast in landscape mode. For real estate, I like to show a wider view, rather than a tall view. But I didn't start out the broadcast in landscape mode. So throughout the broadcast, my video was just playing sideways. I finally figured out how to broadcast correctly in landscape mode today. Did a test broadcast of my dog eating dogfood outside so that I could see if the landscape mode would work. It worked finally! 2. Get a Twitter account. I've always had a Twitter account, so that's not a problem. But my coworker, needed to create a Twitter account when he downloaded Periscope. So you will run into it eventually if you are interested in getting Periscope. OKAY, so now you want to broadcast, what should you do? When starting a Periscope broadcast, there are a few things you need to do! d. make sure comments are enabled for the public! it is fun interacting with the people who comment while watching your broadcast. I had this feature blocked so only my friends/followers could comment, which was not what I had wanted to do! All in all, Periscope is so easy to use. I am so excited to be a part of the Periscope world! If you would like to see all my prior broadcasts, you can watch them on my Katch page! Hi Everyone! I wanted to share my experience with unlinking Gmail accounts. I have multiple email accounts. In fact, you could even call me a hoarder of email accounts. I don't delete emails, I just get a new email account when the old one gets close to maximum storage capacity! I know it's a little silly, but I don't have time to read junk email, let alone time to delete those emails. What all this boils down to, is that I naturally have a few Gmail accounts and with the new changes to Gmail in the last few years, those accounts inevitably get linked together automatically. This is convenient in many respects because I can check emails from other accounts seamlessly. I can switch back and forth between different email accounts and reply to people in the account that I want to reply from. It's great! But there are times when someone will borrow my computer and sign into their Gmail account and now I'm stuck with their email account linked to mine. 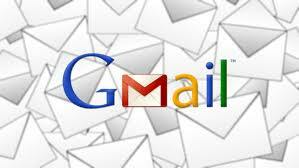 How do you unlink and remove an unwanted Gmail account? First of all, SIGN OUT. Go to the upper right of your Gmail page, where your personal icon is. Click the icon and it will open a little box with your name, email, profile, My Account, and Sign Out. You need to sign out. My problem was that I thought I had to be signed into my account to do anything. I mistakenly thought that I had to be an authorized user and go into my settings, but this is not the case. Once you are signed out, Google will have a new page that will allow you to Sign In. This will show a list of all the linked accounts. At the bottom of the list, you will see "Add Account" on the left and "Remove" on the right. Click "Remove." This will bring the list of linked accounts back up and you can hit "X" on the email accounts that you would like to remove. Then click "Done" and you are... done! Now you can sign back into your preferred default account! Tina Jan and April Schmidt Barrios talk about Yucaipa Autumnfest! I got this neat info card from Lawyer's Title about Proposition 13 that I would love to share with everyone! The maximum amount of property tax cannot exceed 1% of the property's assessed value, plus any bonds or fees approved by the voters. Real property can only be reappraised upon a change of ownership or new construction. Business and personal property, including boats, airplanes, and certain restricted properties are subject to annual appraisal. The value determined at change of ownership or new construction is increased each year by an inflation index not to exceed 2% per year. This inflation-adjusted value is called the "factored base year value." Properties purchase before March 1st, 1975 will have a base year value of the 1975 assessed value. Happy Mother's Day! What Do Moms Look for When Buying a Home? To all the wonderful Mothers out there, including my own amazing mom, I hope you have a truly special Mother's Day! A rose from my garden! Since we are celebrating our moms today, what do our very special moms look for when they are buying a home? According to Daniel Goldstein of MarketWatch, open floor plans, office nooks, large kitchen space, and mud rooms are high on the priority list. Click here to read more about what moms want in a home! If you know some moms who are looking to buy or sell a home, call me! I will work patiently with the fussiest moms and find homes they will love! 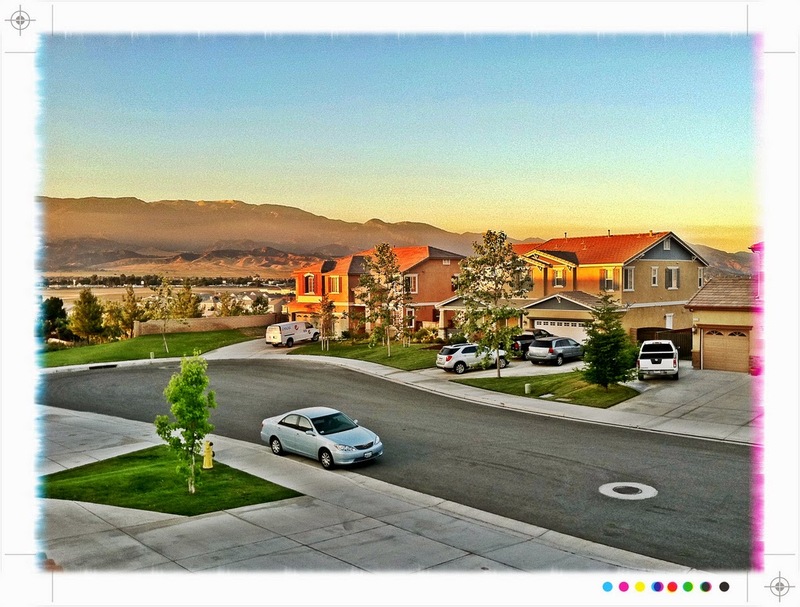 The Sundance Community in Beaumont, California is one of the largest communities in the city. It is grows larger every year, thanks to new home construction. The newest addition to the area is located at Cougar Way and Highland Springs Blvd featuring Northstar and Skycrest by PardeeHomes. Last week when I drove by, they had built 3 homes in that new neighborhood. This week when I drove by, they had about 6 homes! New Sundance area communities being built! 22 homes for sale in Sundance. The prices range from $229,000 - $366,000. Bed/bath ranges from 3bed/2.5bath - 5bed/3bath. Home sqft ranges from 1534sqft -3187sqft. If you know anyone who would like to buy or sell a home in Sundance, don't hesitate to call me! 935 Union St., Beaumont, CA 92223 - New Backyard Landscaping! On the market with a beautifully landscaped backyard! Want to see the rest of the pictures and details? 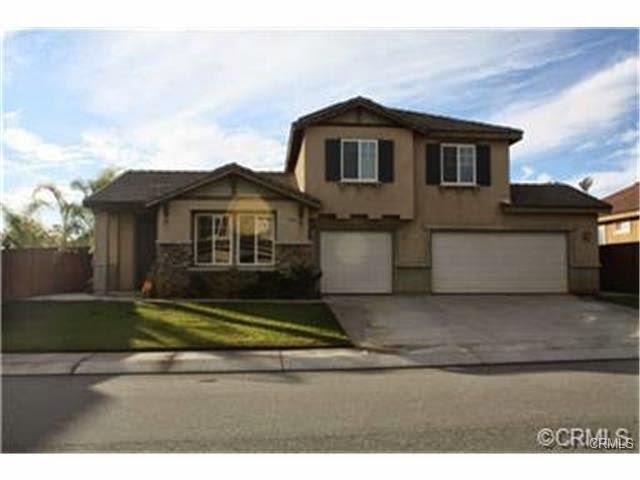 Click here to see the MLS flyer. I've Moved Offices! I'm now with Real Estate Masters Group in Beaumont, California! Just wanted to announce that I have officially moved offices! Same great agent, new office location! 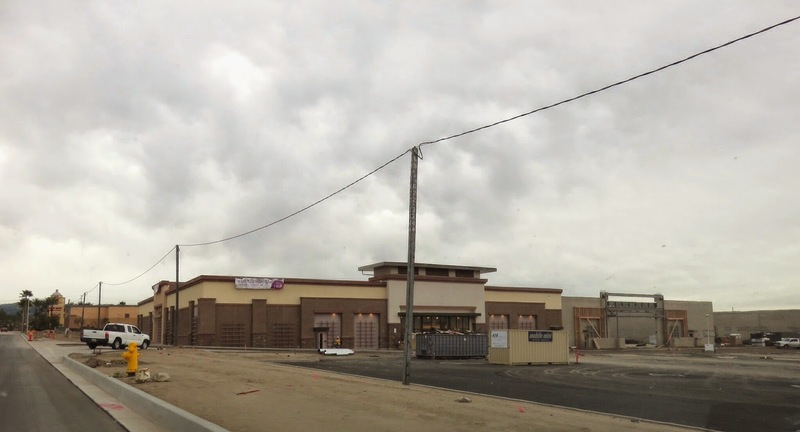 The Inland Empire is getting another Nordstrom Rack! I'm super excited to share some recent construction pics I took this week. This new shopping center is called Mountain Grove and it is located right next to Citrus Plaza in Redlands, California. The above pic is of the Nordstrom Rack building. Looks massive! The other Nordstrom Racks that have arrived in the Inland Empire area are located in Upland and Riverside. But I'm really happy that we will be getting one 20 minutes away from my real estate office in Beaumont, California. 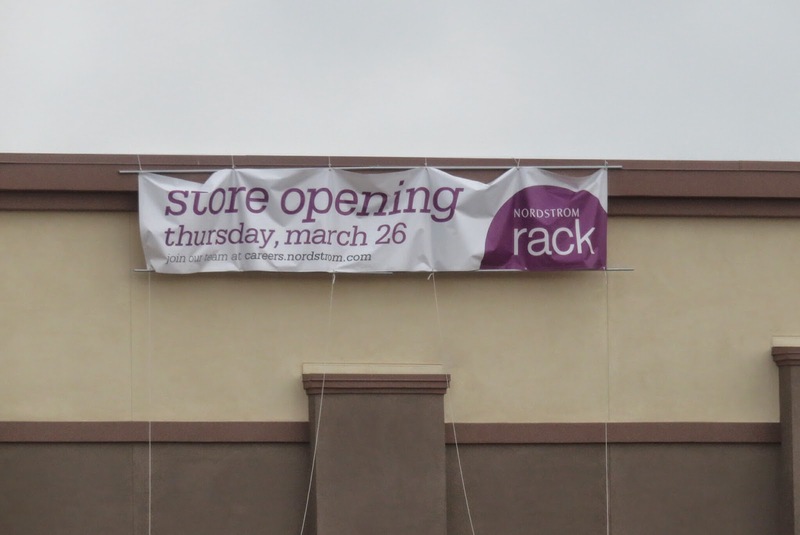 Thursday, March 26th, 2015 is the day that Nordstrom Rack will be opening. I can hardly contain myself! The funny thing is that I don't really do that much shopping, but I love Grand Openings. All the workers are extra friendly, the goods are neatly organized, and sometimes they have great deals for the first few days. To the right of the Nordstrom Rack, a few other great stores will be coming in as well. I spy a TJ Maxx, a HomeGoods, and a Hobby Lobby. In addition, there will be a 24 Hr Fitness (I forgot to take a pic) and a few other places. 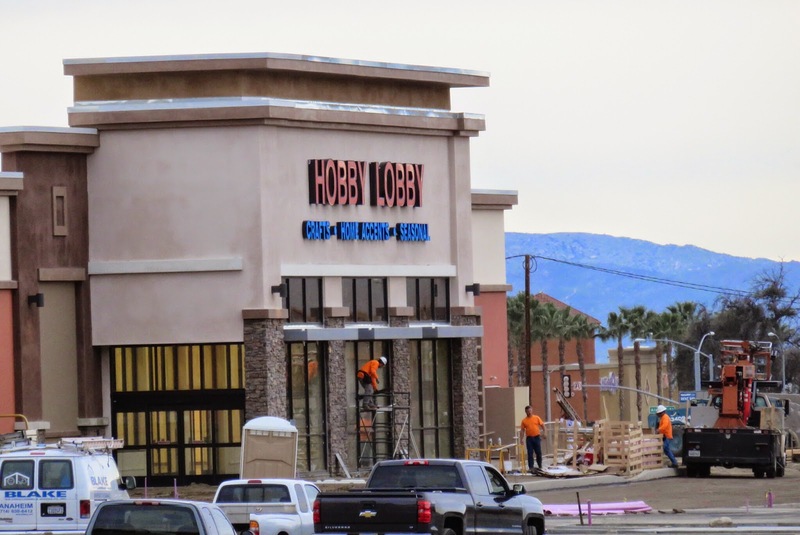 The Hobby Lobby will be a nice addition to the Michaels and Jo-Anns that are nearby in Citrus Plaza. I've never been able to actually go to one, as they are closed on Sundays, and I work pretty much every day, all day long. So maybe since it will be so close to home, I'll actually get a chance to shop around. 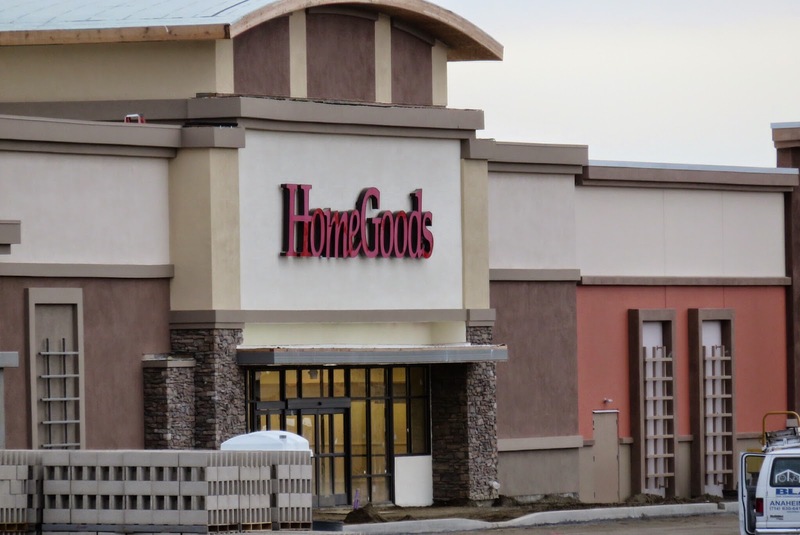 HomeGoods is one of my favorite places to buy pillows, lamps, chairs, and other beautiful home decor items. They have great stuff! I don't think I've ever gone to HomeGoods and come out empty-handed. I have no problem leaving a store without buying anything if there is nothing good to buy or the line is too long. 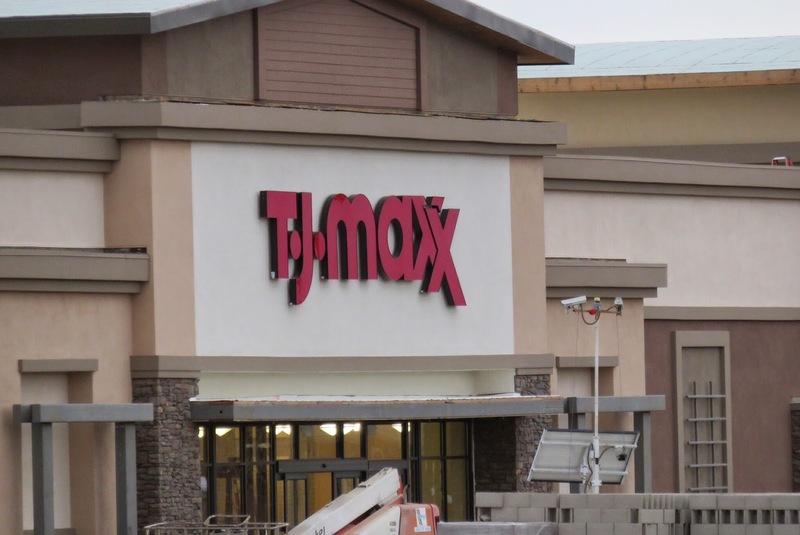 TJ Maxx will also be coming in soon! TJ Maxx, HomeGoods, and Marshalls (located in Citrus Plaza) are all owned by TJX Companies. So it's not surprising to see them all together. 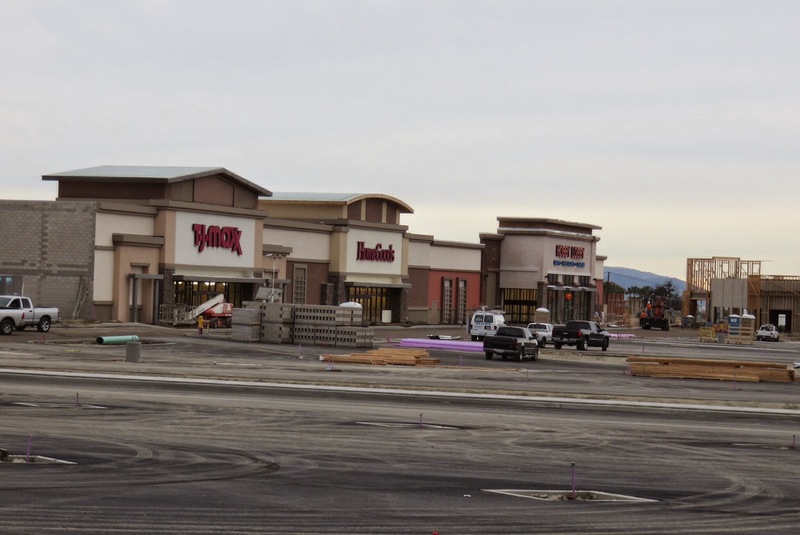 Are you excited about the new stores coming to Redlands, CA? Which store are you most looking forward to shopping at? Comment below! I'd love to hear your thoughts! My organizational and planning methods have shifted from digital planning to paper planning. There are pros and cons to each method, but 2014 was the year of the paper planner for me. The pros of digital planning for my uses were syncing across devices, easy searching for past old appointments, recurring appointments, reminder alerts, and all on your cellphone. The pros for the paper planning style were easy access to planner when actually talking on the cellphone, more awareness of appointments since there were no reminder alerts, being able to view the whole week at a glance, no Daylight Savings glitches, easy to customize planner to suit your evolving needs. As a result of this switch to a paper planner method, I felt more organized and on-top of my hectic work schedule. In addition, I was able to keep important information with me, like detailed info on certain homes, notes on clients and transactions, my hundreds of passwords that I will never remember, tracking expenses and finances, and notes for non-work related goals. While I know that there could have been a way for all of those to be kept digitally as well, I now understand that my mind prefers paper planning. If anyone is interested in knowing more about how I use my paper planner, feel free to comment below. Maybe I will write a more detailed blog post about it. I have to admit, it is quite satisfying to plan out my week/month in my paper planner! One year has come and gone! 2014 was an amazing year of changes for the local real estate market. For the past few years the market has been busy, but prices have been low. This year, prices have finally reached slightly higher values, but still nowhere near the peak prices of 2006. Sellers have seen these higher values and have been putting their homes on the market. Traditional standard sales are easier to find on the market these days. And there are fewer distressed properties like short sales and foreclosures. The lack of home supply of previous years finally disappeared. Buyers had plenty of homes to choose and wanted to get a home before prices climbed up further. Real estate has been busy this year! And although 2015 has just started, I have a feeling it will be more of the same. Hope the year will be a good one for everyone!